It was on the 2nd of February 1968 at the world-famous Marquee Club in Wardour Street that Jethro Tull first performed under that name. The group would go on to become one of the most successful and enduring bands of their era, selling over 60 million albums worldwide and entering the cultural collective consciousness along the way. To celebrate this golden anniversary, Ian Anderson will present 50 years of the group in Tallinn on the 6th of March 2018 as part of the worldwide touring schedule. Jethro Tull is an English rock band formed in Blackpool, Lancashire in 1967. Initially playing blues rock, the band developed its sound to incorporate elements of British folk music and hard rock to forge a progressive rock signature.The band is led by vocalist/flautist/guitarist Ian Anderson, and featured a revolving door of lineups through the years including significant members such as longtime guitarist Martin Barre, keyboardist John Evan, drummers Clive Bunker, Barriemore Barlow, and Doane Perry, and bassists Glenn Cornick, Jeffrey Hammond, and Dave Pegg. The group first achieved commercial success in 1969, with the folk-tinged blues album Stand Up, which reached No. 1 in the UK, and they toured regularly in the UK and the US. Their musical style shifted in the direction of progressive rock with the albums Aqualung (1971), Thick as a Brick (1972) and A Passion Play (1973), and shifted again to hard rock mixed with folk rock with Songs from the Wood (1977) and Heavy Horses (1978). 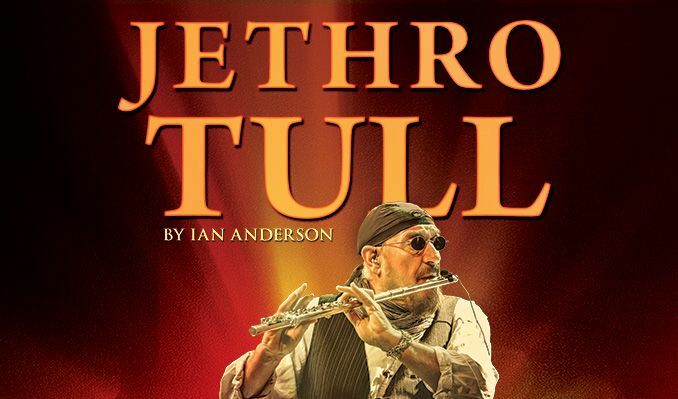 Jethro Tull have sold an estimated 60 million albums worldwide, with 11 gold and five platinum albums among them. They have been described by Rolling Stone as “one of the most commercially successful and eccentric progressive rock bands”.